Caught Wire's Nocturnal Koreans mini-LP just before 2016 elapsed thanks to my wife who has, interestingly, managed to gift me one Wire album over the last (now) three Christmases. I think I got the Document & Eyewitnesses compilation in 2014 and Wire's s/t LP last year. I wouldn't call this a bad tradition. While I really liked the title track when the album came out, I'll admit this isn't my favorite of the band's recent output. I may need to give it a few more listens. I would never accuse the band of phoning it in so to speak, but maybe plateauing a bit. 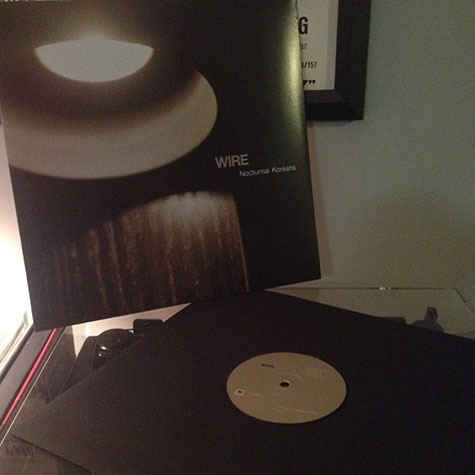 Either way, I'm always happy to be expanding my collection of Wire LPs. You're Dead by Flying Lotus slipped by me in 2014 and has been on the "I'll get to it someday" wishlist for the past couple of years. I should've jumped on this one sooner. Myself a fan of 70s era jazz fusion and late 60s Impulse!, my appreciation and enjoyment of this album was immediate. Taking full advantage of hip-hop's standing as a sample genre, its multiple frames of reference coalescing into a fascinating cross-section of sounds akin to Mahavishnu Orchestra, Return to Forever, and Alain Goraguer to name a few, Flying Lotus (a.k.a., Steven Ellison) impresses with some deep jazz arrangements that relate well to some of his more beat-related instrumentals. You can probably credit this to the track sequencing. There are moments when the album sounds more like a film score, some of the tracks segmented and short, but that doesn't detract overall from the complete package. You're Dead is a hip-hop album for fusion heads. And the physical presentation of the album is gorgeous, foil-stamped and heavily illustrated. 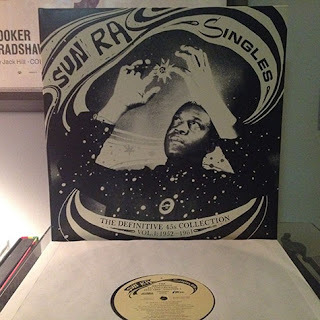 As I continue with my foolish and impossible quest to amass a complete library of Sun Ra's work, hearing news that a two-volume singles compilation would be released certainly sparked my interest. 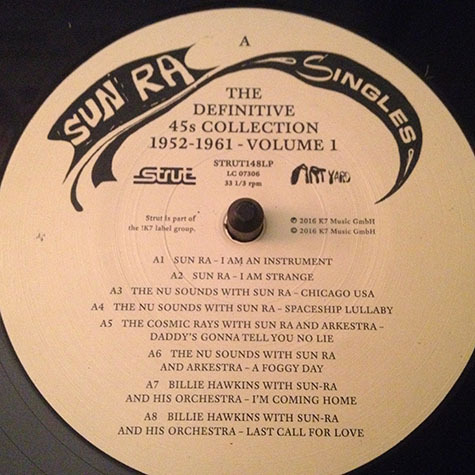 Strut Records put out the first volume in late-November in both 3-LP or 3-CD sets and as a limited edition set of 10 45 singles. 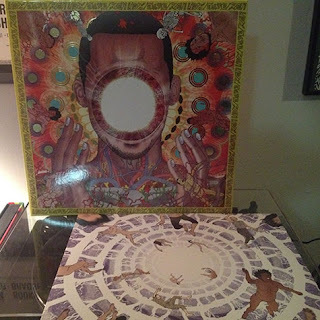 I got the 3-LP set and it's been a lot of fun to absorb, though I have yet to listen to the whole set. I need a solid block of uninterrupted time, which isn't always easy to come by. The second volume spans 1962-1991 and is scheduled to release mid-March.